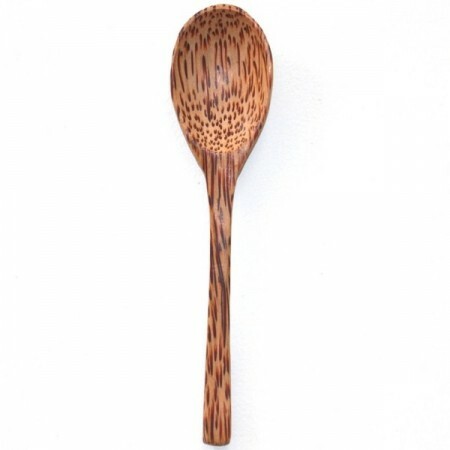 A natural coconut palm wood spoon made from reclaimed palm trees which have finished their fruit bearing years. The prefect addition to our coconut shell bowls. A unique and hand crafted everyday item. Made from reclaimed palm wood after being discarded as waste, which would otherwise be burned releasing emissions into the atmosphere. No artificial glues or lacquers. Made from reclaimed coconut palm wood. One of the most sustainable woods on the planet. Polish with virgin coconut oil every 10 or so uses to restore its smooth and shiny surface. 16cm x 4cm. Coconut palm. Made in Indonesia and Vietnam. Browse our other natural homewares. I've been using this to mix my homemade concoctions (ie. deodorant etc.) as metal spoons react with the oils I need. It's a great looking spoon and feels lovely to hold and use. I'll be getting a few more so I can carry one or two in my handbag. Love these to have in my bag when we are out! i carry one of these along with my bamboo straws for when we are out and about. then we can refuse the plastic ones!! 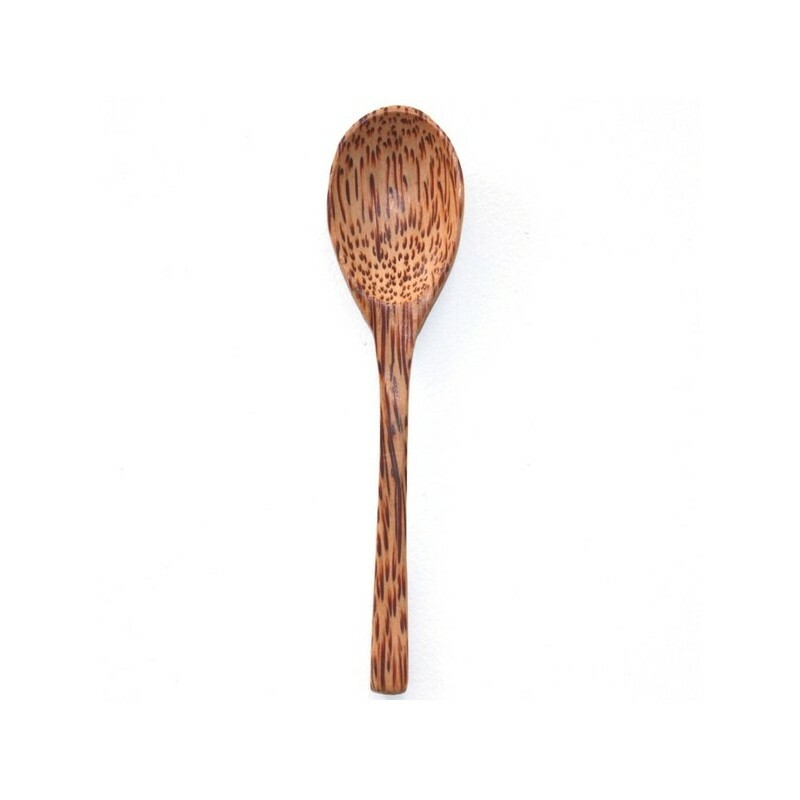 Cute little spoon to match the coconut bowls!